Originally a follow up fighting game using the Street Fighter II engine, Darkstalkers was born from a desire to expand the idea of a fighting game, and the idea was to do so via the Character Design. The aesthetic and concept of characters are so important to the Fighting genre, the very idea of taking Street Fighter and populating with monsters is enticing on its own. Of course, Darkstalkers evolved to be more than just a Street Fighter rethreads, introducing concepts like Ex-Moves and more use for the special moves bar as well unique finishing moves that had original art and animation for all the characters. It was energetic labor of love that still draws cosplayers and fans towards the series even today. A forgotten franchise that captured the moment once upon a time in the ’90s, the art is what people remember and revisit. This year, it will celebrate 25 years, yet in spite of that, the series is relegated to just some old CPS-2 games and ports. Why is it enduring? Why does it still has fans? On top of being actual great fighting games, our personal theory? In this post, we will explore said character designs that endure even as the series lay dormant. Remember: Click on an image to expand it. 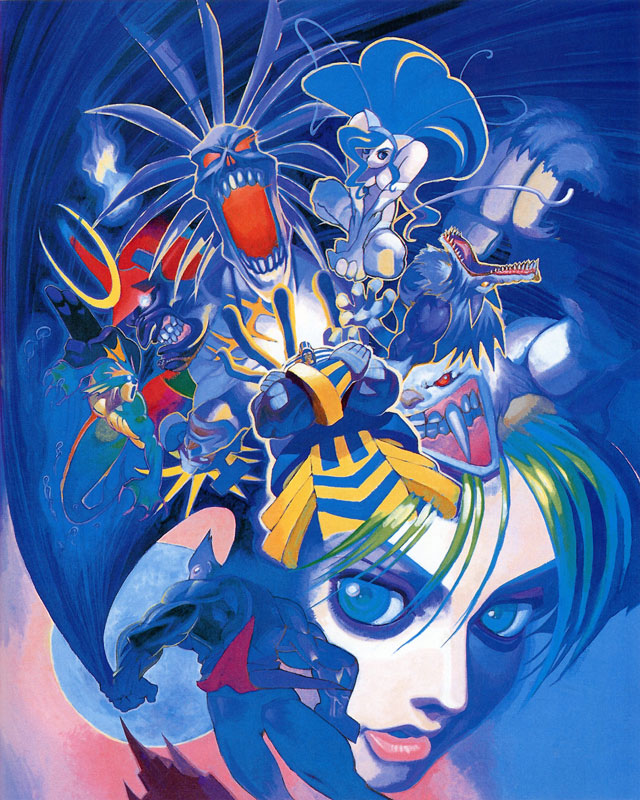 The Prototype of Darkstalkers is interesting to delve, because if the Official Complete Works is to be believed, Haruo Murata, one of the designers for the characters joined the team late when the game systems were already done and the characters were being assigned to have their personality and stories finished. Considering how early the first Darkstalkers game was in regards to Fighting Game history and just how many systems were incorporated in the game, it’s interesting to note it’s the most enduring legacy as far fan factor goes, the characters, animations, and backgrounds was something done after the innovative game systems were ready to go. In this section, we will explore the concept art for all characters from the original “Darkstalkers: The Night Warriors” game, looking at the interaction process Murata and others had to go through until they ended up with the final product. Understanding the process behind the characters for the first game, we present now a celebration of official art produced by the original Darkstalkers games below. Click an image expand and read more about it. Support Darkstalkers related content, maybe we can make it last for even more 25 years.